Apple iPhone 7 (PRODUCT)RED Special Edition Now Available At Beyond The Box! 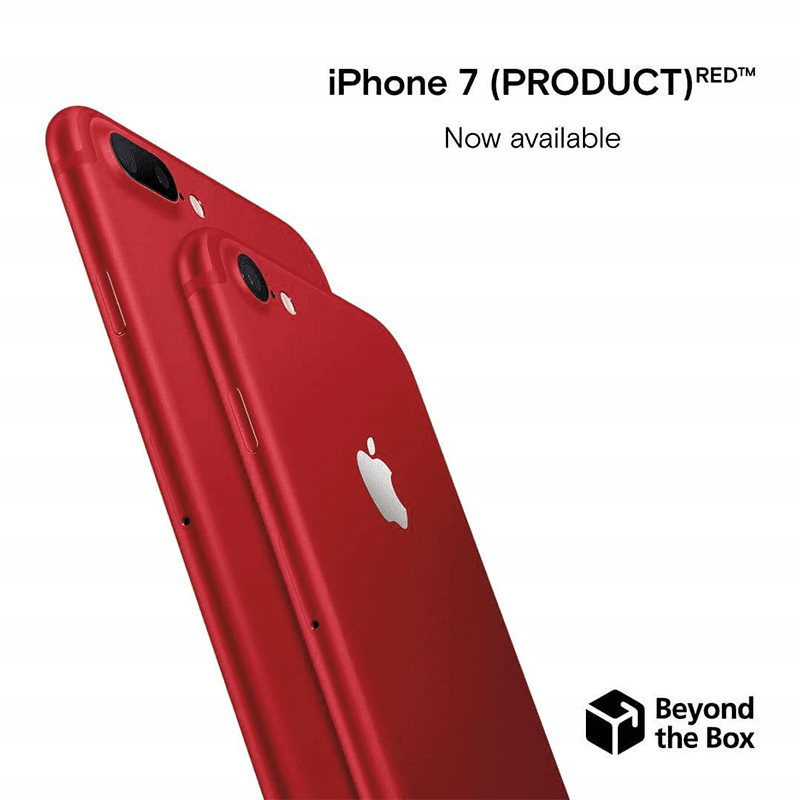 Home / apple / mobile / news / Apple iPhone 7 (PRODUCT)RED Special Edition Now Available At Beyond The Box! Beyond the Box, the premium reseller of Apple in the Philippines has announced the local availability of the Apple iPhone 7 (PRODUCT)RED in the country. In particular, Beyond the Box will carry the RED special edition of the Apple iPhone and iPhone 7 Plus. As a quick recap, the RED edition of the iPhone 7 series was crafted in partnership of (RED). It the way of the both companies for an "unprecedented" way to contribute to the Global Fund with a goal of making the world AIDS-free. Both iPhones still has the same specs, build, battery, performance, and camera quality. The new iPhone 7 (PRODUCT) RED special edition is now available at 0% interest up to 24 months. The participating banks are: Citibank, BPI, Metrobank, and Unionbank. The iPhone 7 128 GB is priced at PHP 46,990, the iPhone 7 Plus 128 GB will retail for PHP 53,990, and the iPhone 7 Plus 256 GB is at PHP 59,490.